Well, if you have not heard our yearly fund raising drive has started in earnest and we are almost already half way to our goal which is truly awesome! Thank you! Celtic Radio has a lot hanging on this fund raising event. The yearly fees to broadcast are very expensive as well as a number of other hefty costs that are required to keep everything running smoothly. To numerous to list, but without this event each year we would not have seen the improvements to our website and channels over the past few years which are substantial. This includes the building of our network, hardware and so many different things we need to continue to broadcast and run our websites. 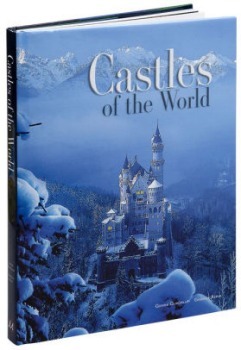 This year we have a number of new packages such as our Castles of the World which is an absolutely beautiful hard cover book with 272 full color pages. 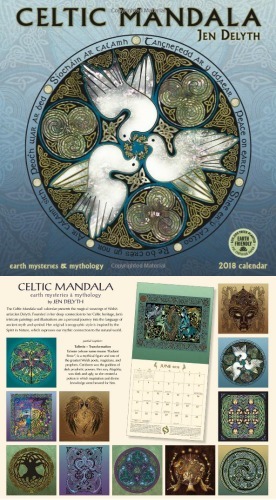 And as a tradition we continue to offer the latest Celtic Mandala Calendar and engagement book as a limited timed thank you gift. We still have several of these Calendars available so act quickly. Just had the privilege of making my donation for this year! I want to encourage everyone who enjoys what this wonderful site has to offer to join in! If everyone does a little, the goal is easily attainable! Thanks to Paul for all he does in keeping this site up and running! So honored to have a part! Lord bless and have a great day!! Made my donation days ago. Thanks Paul! Come on folks just $400 to go! Make your donation now to keep this place alive. We are almost there, just a few more donations to kick us over the top! Let's wrap this one up for another year of Celtic Radio! Thank you members! We have made our fund raising Goal for 2018! Delighted that we continue to have the support of this community. And it could not have happened at a better time as we needed backup servers today because of a little problem. The leprechauns were back again! Woohoo! I think it may have taken a little longer this year, but we made it! That's awesome! Thanks for all you do, Paul! 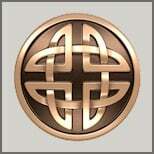 Appreciate the music and the site! All this and Ireland wins the Grand Slam today!! What a great St. Patrick's Day!! Great seeing the support with people pitching in. This site is the best and with all of us making sure it keeps going is so important. Cheers to this year and many more to come. Way to go members! Great news! Well it looks like the goal was achieved this year congratulations. I had previously renewed my membership and purchased the pub cookbook during the fundraiser. Will the packaged items still be available to purchase or was that for the fundraiser only? Great Job and a wonderful radio station! We actually still have alot of items left over from the Fund Raiser except for the Calendar and Engagement books. We usually will carry these over for next year, but the fund raising page is still active (even though we removed all of the links on our site). You can still access and purchase one of the donation packages. In addition to paying for our yearly App maintenance costs, we also have some server upgrades to perform later this year. Since we run our own servers we like to stay ahead of the curve before something breaks! Thank you all for keeping us going another year! Again, a big thanks for all that helped us reach our fund raising goal this year. If we don't say it enough, then thank you thank you thank you! So it couldn't come at a better time. While we knew we had some server upgrades to make, we now know our deadline is June 1st. If we do not upgrade our webserver by that day a number of items will break on the website. We will be building a new server before then and it is all possible because of you! Thanks again.